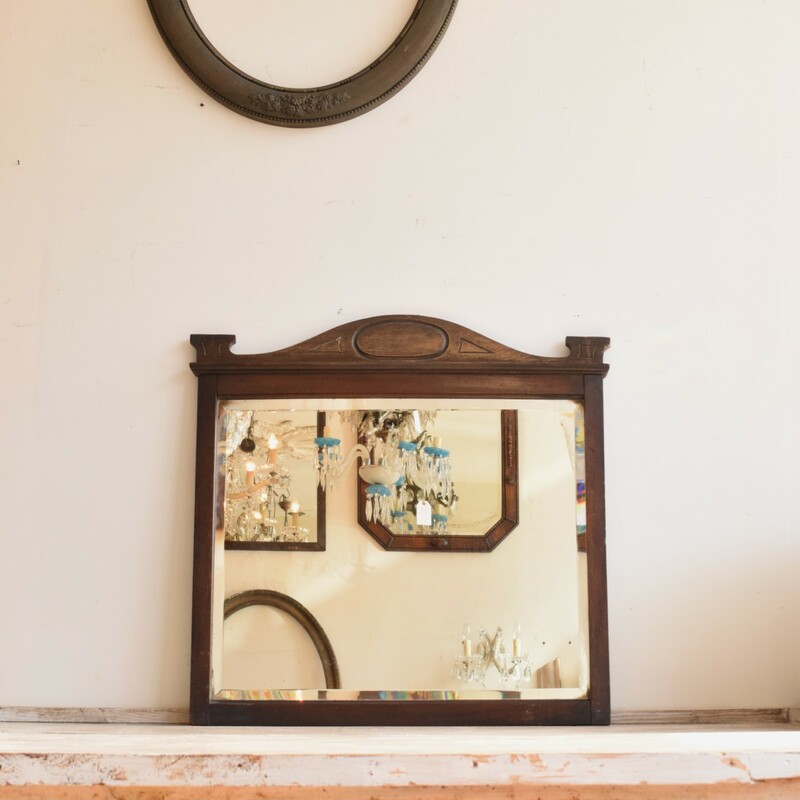 This mirror has a beautifully sculptured wooden frame. The glass has some signs of tarnish and the frame has some beautiful natural distressing. A striking piece.